About | Take Charge of Your Health! Dr. Mark is a trained naturopath as well as a prolific writer (co-author of more than 50 books), and Founder and President of Communion With God Ministries and Christian Leadership University. At age 63, Mark and Patti are increasingly healthy by practicing the keys to health they have discovered. They are constantly learning and changing, and this website reflects the discoveries they have made to date and the products and services they are currently using. Mark has not needed care from an MD since age 40, which is when he decided to take personal responsibility for his health. Their exploration into health is motivated by a strong sense of responsibility to fulfill the destiny God has given them, which includes saturating the world with Communion with God. Their number one book is 4 Keys to Hearing God’s Voice, and under various titles has sold over ¼ million copies. It must be compatible with Scripture. It needs some scientific evidence supporting its validity (double-blind study not required). It must be proven in their own lives as being beneficial. The ideas and products on this website meet these three standards. 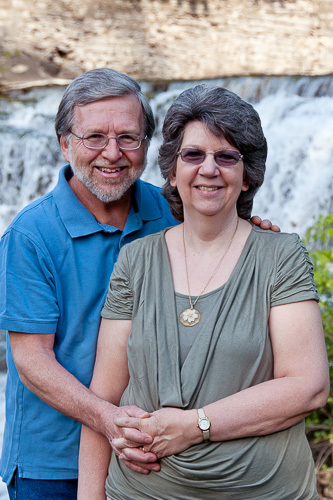 Connect with Mark and Patti through their monthly newsletter with informational articles and inspirational testimonies.